A Man. A Mule. America. I travel so slowly the seasons overtake me. I explore without a gun, film crew or chase vehicle. My favorite vessels are creaky boats and mule wagons. If you stop and help me fix a busted wheel, you might end up in my movie. Mule Polly and I got to wondering. How often is the “Lost Sea Expedition” being streamed on Amazon? The series is about mule Polly and my solo wagon voyage across America. According to Amazon, it’s been viewed over 700,000 minutes in the last 3 months. That’s almost 12,000 hours. Wow! Amazon’s stats: the series has been viewed over 700,000 minutes in the last 3 months. That’s over a year’s worth of streaming (493 days to be exact). More important, the series has gotten over 80 reviews. These reviews are vital. They show Amazon the series is engaging viewers. That means Amazon (okay, Amazon’s algorithm) encourages folks to stream the series. That really helps word get out about this beautiful series. If you’ve reviewed the series, thanks. If you haven’t, a few words and a few seconds is all it takes. You can leave your review right here. Thanks from mule Polly and me! PS: If you haven’t watched the series yet, you can stream the series right here. The “Lost Sea Expedition” is crankin’. A few weeks ago it won a Winnie Award at the EQUUS film festival in New York. This week, the film has been selected to appear at the EQUUS INTERNATIONAL film festival in Missoula, Montana. This is very cool because Polly and my trip covered parts of Montana. No matter what the judges think, Polly scores a win with us. Brace yourself for a bonus ration of carrots my traveling friend! You can stream the series on Amazon. 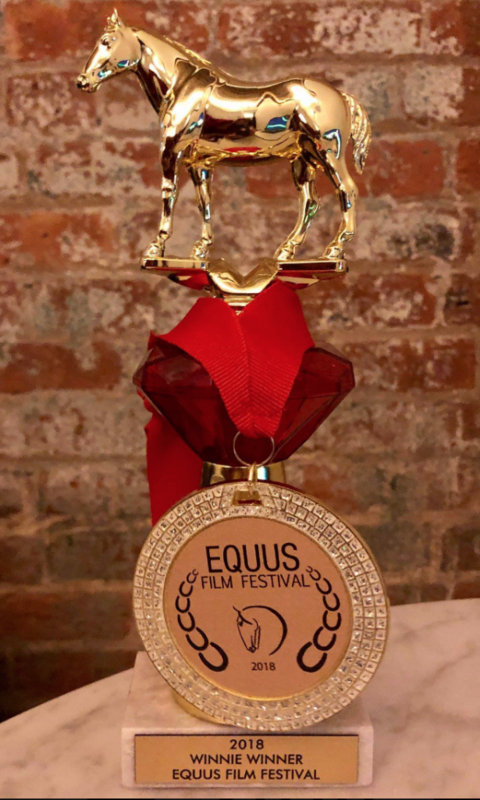 More about the EQUUS INTERNATIONAL film festival right here. 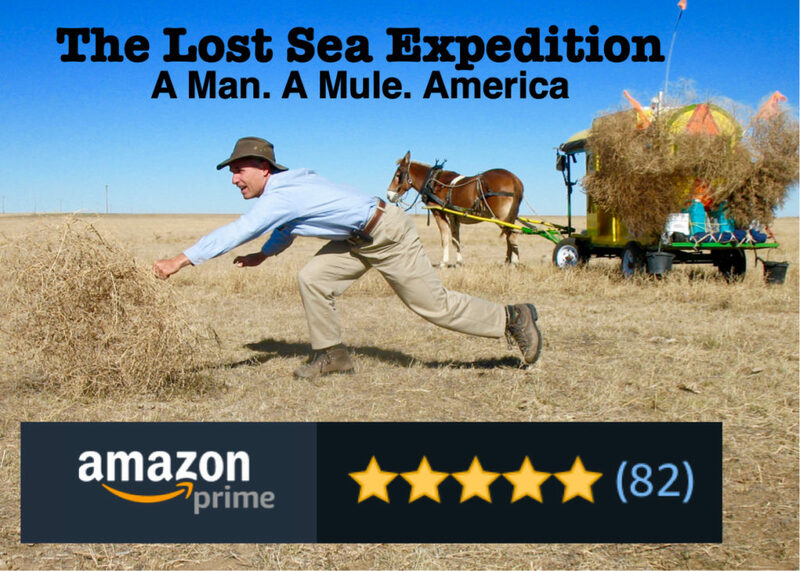 A huge thank you to everyone that left a review of the “Lost Sea Expedition” on Amazon. We got 17 new reviews this week which put us 6 over our goal of 50. To celebrate, Julia and I rode up the mountain. In the photo above, I’m riding Brick and leading Polly, star of the series. You can bet Polly got her carrot bonus! If you’d like to review the series that would make a little mule very happy. You can leave your Amazon review right here. Man walks across America with mule. Man makes movie. Movie goes to New York City and….wins shiny gold trophy. Okay. Sorry. I got carried away. It’s just that I’m so excited that the Lost Sea Expedition, the account of my mule voyage across America, just won a Winnie award at the EQUUS Film Festival in New York City. It won for best Full Length Equestrian Film Travel Documentary. What now? Well, mule Polly, star of the series, can’t eat a trophy so I have a better idea. 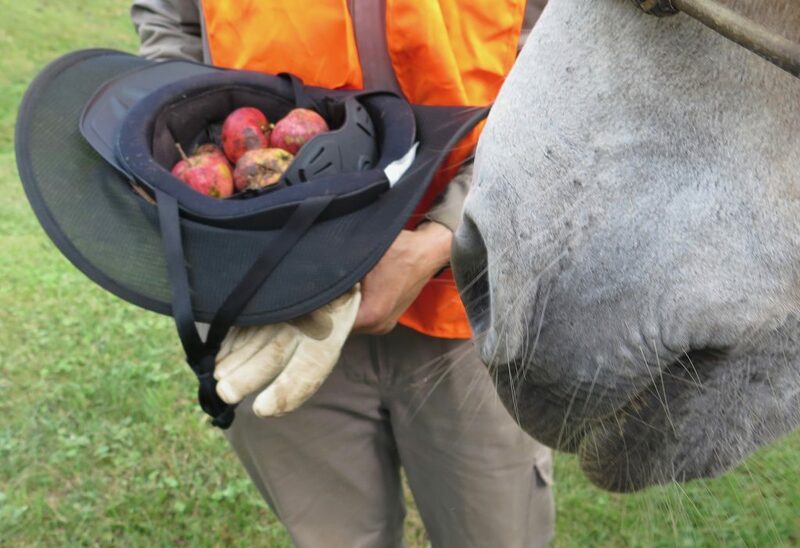 On our latest jaunt, a 6 week amble from North Carolina to Virginia and back, Polly developed a real love for little red apples. So red apples it is – a whole bag full if that’s what it takes. In the meantime, here are 2 ways you can watch the award-winning Lost Sea Expedition! -buy the DVD at the LostSeaExpedition store. 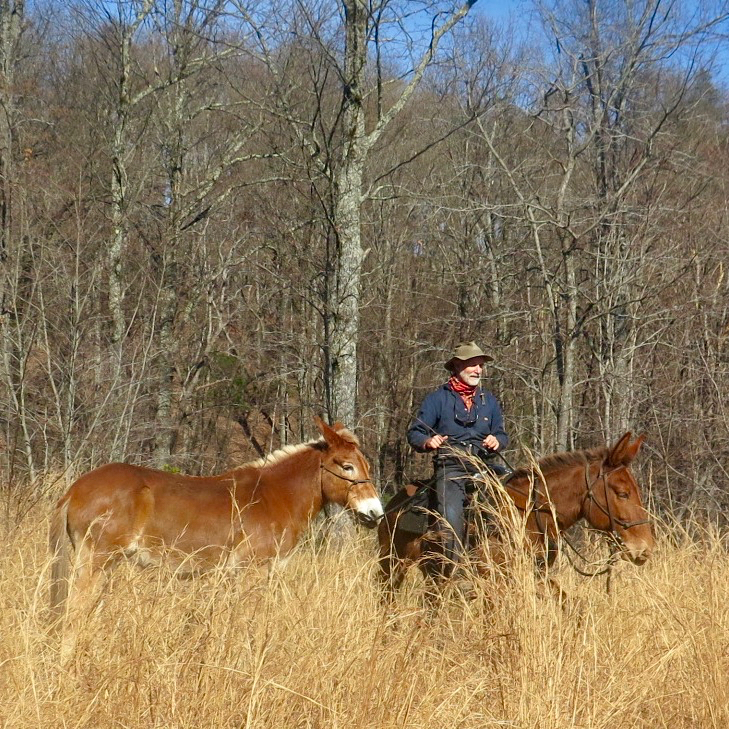 Mule Polly served as pack mule on Julia and my trip from western North Carolina to Virginia and back. That’s Julia in the background riding Dusty. You can read more of the journey at my travel site RiverEarth.com and Julia’s blog Saddle Under the Stars. 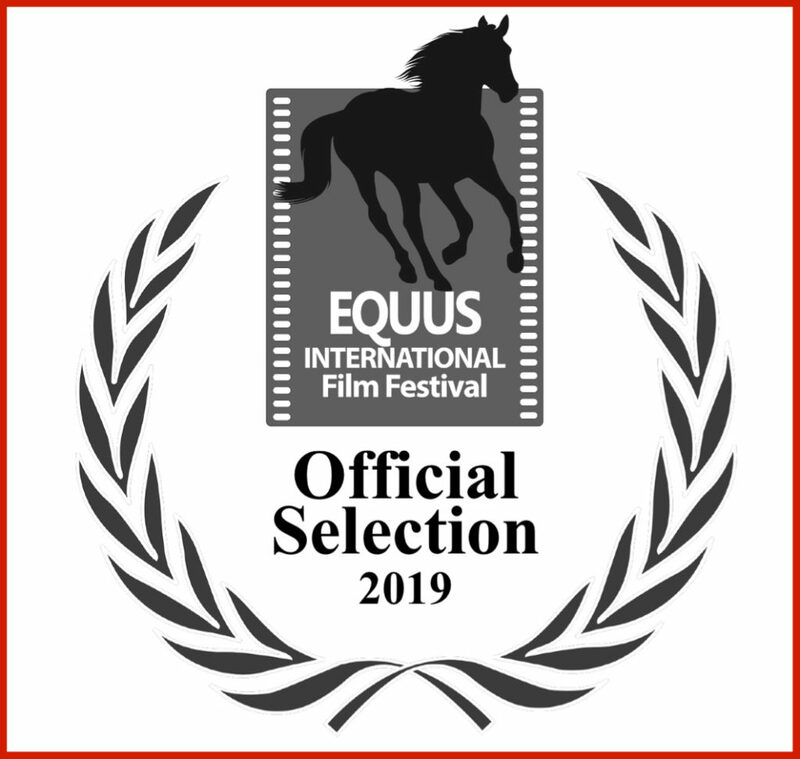 The EQUUS Film Festival runs Nov 29 – Dec 2, 2018 in Brooklyn, NY. The festival is dedicated to all things horse, mule and donkey and features movies from around the world. 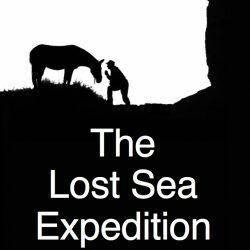 News just in that the Lost Sea Expedition is scheduled to be the first movie to be screened at the 2018 EQUUS Film Festival in New York City. 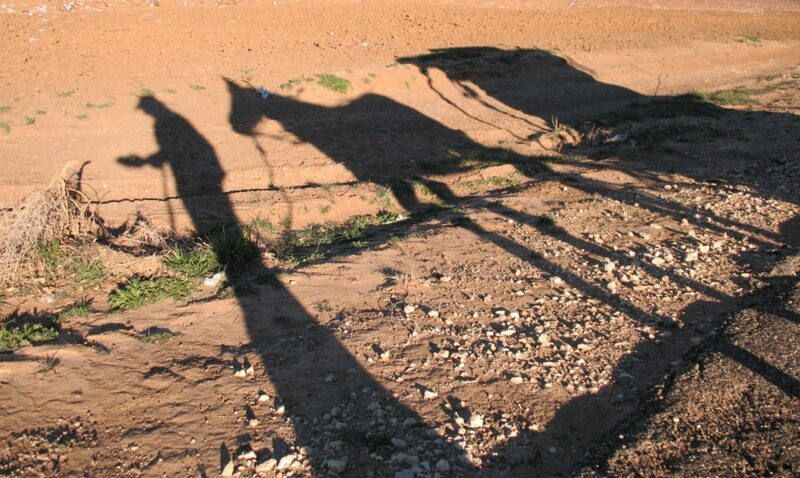 The movie about mule Polly’s wagon voyage joins other movies ranging from gypsy wagon life and Marwari cavalry horses to the California vaquero. Festival bonus: this is the first time the Lost Sea Expedition, originally released as a series, will be shown as a feature length film. Click through for the entire schedule. Big thanks to Glen and Jamie of the Horse Radio Network’s “Horses in the Morning” show. I had the pleasure and amusement of being a guest on their show this (Monday) morning. We had a great time discussing the Lost Sea Expedition series, messages in a tumbleweed and why anybody would set off across America in a wagon. Stream the interview, or any of the 6,000-plus interviews they’ve done, at www.horsesinthemorning.com . 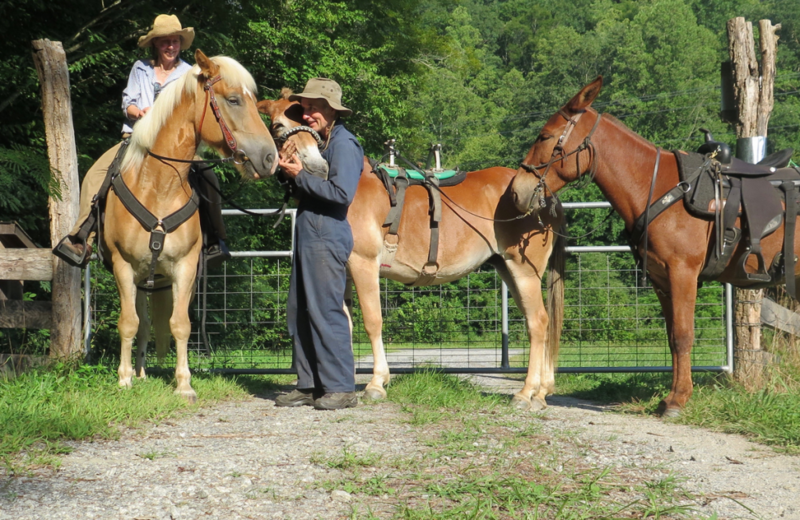 Back on the road: mule Polly (center) getting ready for her next trip. More at RiverEarth.com. 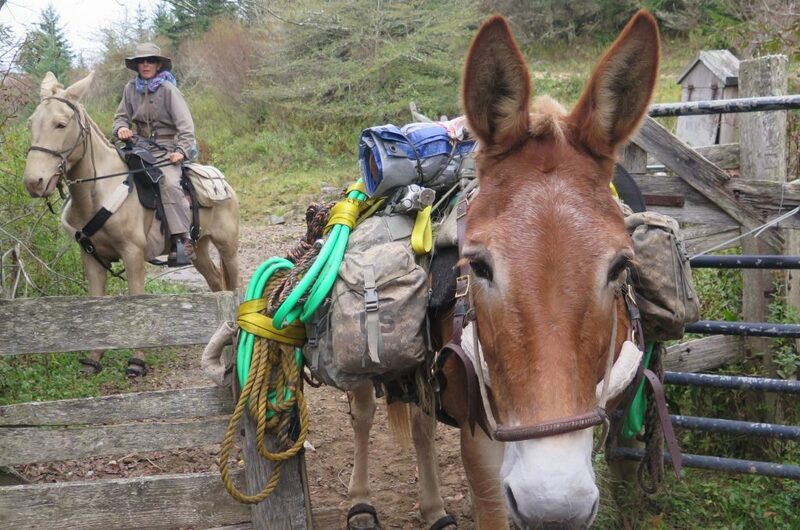 If you’re wondering what mule Polly’s up to after the Lost Sea Expedition, come on over to my travel site RiverEarth.com. Of course we’re running away again! A milestone: 1/4 million minutes of streaming in the last month. Wow. A quarter of a million minutes. That’s how many minutes the Lost Sea Expedition, the TV series about my wagon voyage across America, has streamed on Amazon in the last 4 weeks. That translates in to 13,859 unique streams. Sooo… a wagon-sized thanks to everyone that’s tuned in to the series. An even bigger thanks to everyone who’s left a review. You can read and leave reviews here. These REALLY help mule Polly and I get the word out. If you haven’t already, you can stream the series right here on Amazon. Note: Program has been rescheduled to air July 29: Here’s your chance to prepare for your next adventure! Join “Carolina Hoofbeats” host Rose Cushing and me as we take a look at the voyage behind the “Lost Sea Expedition” TV series. 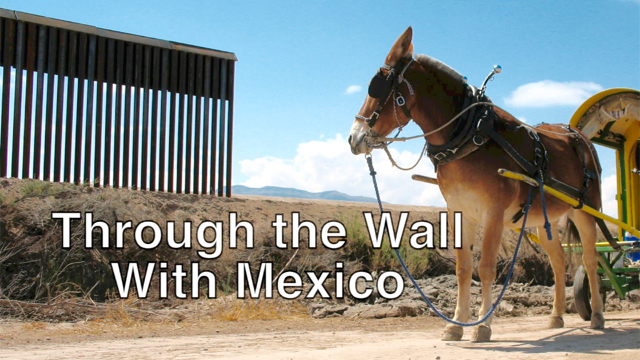 You’ll meet mule Polly and tour the wagon she pulled from Canada to Mexico. The proposed wall with Mexico has been in the news a lot lately. Mule Polly and I ended the Lost Sea Expedition there. Actually on the Mexican side of the wall. See why this honkin’ barrier just isn’t practical. It’s Out Take 11 from Lost Sea Expedition TV series. Stream the Lost Sea Expedition!